We are delighted to have added to our senior executive team with two major appointments during a period of strong growth and expectations of a “bumper 2019”. Ian Brook has joined as Senior Contracts Manager from Bulllivant, while Tom Milner has arrived from Van Elle as senior sales engineer. Shahrooz Zojaji, Managing Director, said the appointments gave the company “the best balance of high-level talent and experience we have had for a long time”. He said: “Orders are strong, enquiries are coming in thick and fast, and having seen a period of strong growth we are looking at a bumper 2019 in both construction and rail. “The new leadership team we have built over the last two years puts us where we need to be to meet the demands of an increasingly higher-end client base and bigger jobs. We have also added to its administration staff, with Terri Radford joining as Management Accountant and Sarah Lamb as Credit Controller. We are delighted to announce that we have been awarded SafeContractor accreditation, further strengthening our health and safety credentials. The Aculmus SafeContractor scheme is a SSIP-approved health and safety assessment scheme for contractors demonstrating a gold standard in health and safety requirements. 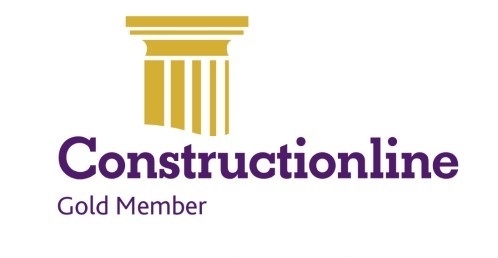 The accreditation comes shortly after All Foundations was once again been awarded the Gold-standard accreditation from Constructiononline. Steve Powell, All Foundations Quality and Health and Safety manager, said: "This is excellent news and further proof that when you deal with All Foundations you are dealing with a company that has its health and safety and legal requirements as a top priority." We are delighted to have once again been awarded the Gold-standard accreditation from Constructionline. The Gold membership underlines that we offer the highest levels of health and safety, and quality standards. Regarded within the industry as the standard-bearer, Constructionline is operated by the National Federation of Builders. Steve Powell, All Foundations Quality and Health and Safety manager, said: "For a company our size to achieve Gold standard is an excellent recognition of where we are as a business and where we are going. "Gold membership is recognised throughout the industry and ensures that we are at the top of our game and keeps us there, offering the best levels of service, quality and health and safety." All Foundations will be exhibiting at the 2018 London Build Expo at Olympia London, on October 23-24. On stand C22, we will be happy to chat about how we can help you, particularly with restricted access jobs, and also our recent and successful expansion into the rail sector. So come along for a chat - we look forward to seeing you there! We are delighted to welcome Conor McGuigan, a Senior Quantity Surveyor who will run the day-to-day commercial operations. Conor, a Senior Quantity Surveyor, arrives from Dyer and Butler, where he was an SQS responsible for an operations team in Sheffield carrying out Civils and Railway Works for Network Rail, airports authorities and Morrison Utilities. The company has recently started work on the digitalisation project of the London Underground station at Barking. February is often called the month of love and that is certainly true with us at All Foundations. We are experiencing such a great amount of love at the moment that we wish to shout it from the roof tops, have marching bands singing about what is transpiring and failing that have 12 lowly matchstick girls show amazing choreography skills in dancing and singing about how much we are in love, whenever we walk past one of our piling operations. All Foundations loves the fact that we now have so many new faces at our offices and on our sites. Two new dedicated designers, new contract managers, a new operations director and a whole host of new qualified site personnel; who unfortunately cannot dance in time and certainly could not hit a music note, even if it was nailed down. But they can install piles and foundations like nobody’s business. We love that we have so many new rigs available to work on all of the projects, both big and small, we are working on. We have a brand new Llamada P-105 and a new Soilmec SF50 both capable of working on the larger CFA piling projects. One thing which really has brought a smile to our lips is that our LIPS division has expanded exponentially. This is due to its ability to make developing over brownfield sites easier with its innovative piled slab system which is flexible enough to offset obstructions encountered and ensure that the foundation work is still completed quickly and cost effectively. Due to all these lovely additions we can now work on more projects than ever before which means we can help more of our clients more of the time. Which is what we love the most. All Foundations has announced the arrival of two senior designers, Craig Burton and Helen Mason, who will expand the offer of design capabilities to the company’s growing client base. Craig, who joins from Aarsleff Ground Engineering UK, and Helen, who arrives via a range of leading contractors and design consultancies, both have over a decade of experience in construction and piling design, and will work with clients on an increased range of services, including concept design and tender-ready designs. Their arrival demonstrates the ongoing investment All Foundations is making in its staff, training and plant to ensure that the company continues to supply all its clients with the high level piling and foundations services..
Neal Willis, Chief Operating Officer, said: “The arrival of Craig and Helen takes us to another level and demonstrates an intent from All Foundations to continue to grow our capability and provide the very best service we can to our clients. Craig’s experience and ability within the construction industry has enabled him to become an Incorporated Engineer with the institution of Civil Engineers. Craig has particular expertise and specialist skills within the geotechnical sector including site investigations, design and installation of embedded retaining walls and foundations - both shallow and deep. Asked to why Craig thought All Foundations would be a good career move he responded with ‘All Foundations interested me as a designer due to the variety and scale of projects they work upon. I relish working on a broad scope of projects and All Foundations is certainly keeping me busy’. Helen’s broad design experience ranges from restricted access and underpinning to multi-million pound rail projects, with an emphasis on bespoke design methods and technical problem solving. This has furnished her with the ability to identify unique solutions, leading to time- and cost-saving measures in relation to pile design formats. Her specialist work in the rail industry, in particular with OLEMI, will be of great value as All Foundations is now fully RISQS Audited and is aiming to become a leading piling contractor in the rail sector. All of this experience benefits the design team and further enhances the efficient, cost-effective design service All Foundations offers to all of its clients. In light of what is currently transpiring within the construction industry, with particular reference to the Carillion situation, All Foundations would like to reassure both its clients and network of suppliers that we, as a company, are fully protected from any negative aspect of Carillion being placed in liquidation and that All Foundations will not incur any financial loss from Carillion being unable to meet its debts. All Foundations has always placed great emphasis on prudent financial planning and as such enjoys a stable financial base, due to this our continued growth and ability to meet current and future work commitments will in no way be hampered by the financial fallout from Carillion. All Foundations has recently been awarded accreditation from Alcumus SafeContractor for achieving excellence in Health and Safety in the workplace. Alcumus SafeContractor is a leading accreditation scheme which recognises extremely rigorous standards in health and safety management amongst contractors. It is used by thousands of organisations in the UK as a benchmark for health and safety management, including FTSE 100 companies and SME’s. All Foundations is a specialist piling and foundations contractor who employs over 80 people across the UK. We are often involved with numerous projects at any one time and ensuring the health and safety of our experienced site personnel is paramount. The company’s application for SafeContractor accreditation was driven by the desire to implement uniform standards across the entire business. The achievement of SafeContractor accreditation will enhance our ability to continuously secure new contracts, embed All Foundations as a leading piling specialist and enable the company to be viewed in the most positive light by insurers. The SafeContractor accreditation is one of many accreditations which All Foundations has achieved due to its constant diligence and attention to ensuring that we operate to the highest standards across all business activities. All Foundations would just like to thank all of our clients and suppliers who have helped us to have a fantastic year. We have worked on some amazing projects this year such as a very exciting re-development project in Rochester and on the development of new ‘Supported Living Accommodation’ for parents of children and young adults with specific needs in Essex. All of this has been due in a large part to the continued support of many of our clients with whom we have built up a great relationship over many years and our suppliers who help us maintain our reputation for delivering on time and, on budget time and time again. This year, due to our extensive growth we have invested heavily in both our people and our plant with the addition of many new starters such as Neal Willis our new Operations director and new piling rigs such as our brand new Soilmec SF-50 Piling rig which is capable of installing up to 900mm dia piles to depths of 25 metres. We are looking forward to working on even more exciting projects next year as we will see our growth, yet again, hit new heights. So we would just like to wish you all a Merry Christmas and a very prosperous New Year. As you are no doubt aware, in this turbulent time, the UK construction industry is experiencing a number of issues which could have significant ramifications on the viability of continued growth. New methods and new direction are required to ensure that the UK construction industry remains at the forefront of innovation, sustainability and economic viability. Our FREE breakfast seminar, CPD accredited, will introduce you to some of the latest foundation solutions available and provide you with alternative methods of foundations and piling solutions. The breakfast seminar will provide you with the vital information required to enable you to enhance your development strategies by opening up new avenues of opportunity utilising the new foundation solutions. The breakfast event will be held at The Barons Court Hotel, located at Walsall Road, Walsall Wood, Walsall WS9 9AH on Tuesday the 16th of January. The event begins at 8.00 am for breakfast and refreshments with the seminar starting at 8.30 am and finishing around 9.15 am with time for networking until 10.00 am. Click here for more details. To book your place simply email Matthew Connelly before the 9th of January 2018 @ matthew.connelly@allfoundations.co.uk with your contact details and any dietary requirements. All Foundations are proud to be able to publish our most recent BRAG rating from Kier. We have now increased our BRAG rating from 71% to 74%. Next stop 80% and beyond. Due to our continued professionalism, commitment to excellence, experienced project management teams and most importantly of all the very best site operatives, All Foundations has achieved a BRAG rating of 74%, which is considered ‘Good’, with Kier since 2014. We are now still striving to achieve the highest score possible, as we are committed to continuously improve to ensure that we remain our client's first choice for all piling and foundation work within the UK. So far this year we have secured over 30 Mini piling projects in or around London and the South. The total value of these projects, in relation to piling, is over £1.7 million and we have installed literally hundreds of piles, in some of the most restricted sites in London. We have helped to build new basements, mezzanine floors and even new Care Homes. We are very proud to have been part of these projects, many of which have served to help some of the most vulnerable people in our society. All of this has been possible due to the high level of investment we continuously make to both our site personnel and our plant and equipment. Along with our vast experience of operating within the London area. All of our site operatives are trained to the highest standards and undergo regular refresher courses to ensure that they are equipped with the right knowledge, training and experience they require. They also have access to some of the best plant and equipment which enables them to perform above and beyond expectations. We are looking forward to next year as we expect to secure even more projects and work on some of the larger, exciting developemnts planned in the southa nd London in particular. Recently, we have taken on a second batch of trainees as part of a new initiative that departs from the popular apprenticeship route and returns to the “recruit and train” model that served the industry so well for many years. Apprenticeships are very much the fashion in a construction industry desperately seeking a solution to the skills shortage - a shortage which is likely to get worse with the effects of Brexit and HS2 - and in some cases appear the only route employers feel like they can go down. But in our opinion apprenticeships are inflexible and unsuitable for a company like ours. All Foundations is a specialist piling company working in construction and rail. Laying foundations for developments requires highly specialist skills and our employees need to be trained in very specific areas. Apprenticeships, while no doubt an incredibly important part of helping young people into work, take a more broad brush approach and are not suited for such a niche area. So 18 months ago we decided on a step-change in our recruitment policy and a return to a more traditional method. We employed five young people aged 18-20 on a full time basis last year and three so far this year, and fast-track them through a modular training scheme to being qualified and ready to join full-time. It has raised eyebrows within the industry, especially as we employ one of the very few, if not the only, young female piler in the UK. For the young people, the pathway to development is also much clearer. Some who only joined last year have already shed their trainee status and have gone full-time, with the equivalent wage and benefits. That provides great encouragement to them to continue to develop, and gives those coming in behind them something tangible to aspire to. In the modern labour market, that reassurance is vital and apprenticeships don’t really provide it. Here we invest so much when they arrive because we want and need them to stay. A proper contract and treating them like an employee gives them a sense of worth and value, which in turns drives productivity and inspires loyalty, helping with key skills retention. Equally it is crucial, particularly in the booming rail infrastructure sector, and All Foundations being one of very few piling companies in the UK to be accredited by the Railway Industry Supplier Qualification Scheme (RISQS), because suppliers like us need to remain agile and able to meet demand, which means when employees join us they have to be able to hit the ground running and be able to positively affect the business at the earliest opportunity. It is incredibly encouraging that the Construction Industry Training Board (CITB) has seen the value of this approach and has supported us with grant funding, and other local and Government grants makes recruiting a very strong and better-focused alternative to apprenticeships. Employing and training young people has also helped us expand the business quickly and confidently, and the recruits are certainly proving their worth. With apprenticeships having such a high profile, it is easy for businesses to forget that recruiting young, enthusiastic people provides a viable and valuable alternative to addressing the skills shortage and growing your business. Neal Willis joins All Foundations as operations director from the senior management team at Expanded Geotechnical. Chris Henry joins the company from Van Elle as business development manager. All Foundations, based in Blackwell, Derbyshire is in expansion mode, having recently opened a new rail division and bought two more Casagrande B175 XP piling rigs. Neal Willis, who as resource leader for Expanded Geotechnical was responsible for all plant and labour, will oversee many of the day-to-day business functions at All Foundations. There was the lovely smell of freshly baked cakes alongside the consistent smell of success in the All Foundations offices on Friday. This was all down to our long anticipated Bake Off Final in support of local charity, GEM’s Cash For Kids, helping the most disadvantaged children in the local area. Diets were put on hold and loose clothing was worn by all of the judges, and many others, to ensure that they would be able to sample (scoff) all of the tasty cakes on offer and decide on who would win the coveted title of ‘Master Baker’ at All Foundations. Well the competition was fierce with many of the contestants resorting to dubious practices such as providing fresh cream to complement their cakes much to the chagrin of those who forgot to sweeten their already delicious morsels further. All in all there were three finalists, Kim Clarke, Resource Co-ordinator, Chris Wynne, Buyer, and Lynn Frith, Credit Controller. Kim and Chris stuck to baking traditional sponge cakes whilst Lynn gambled with a chocolate and baileys cheesecake. Well the gamble paid off, no doubt helped by addition of alcohol and Lynn was crowned the winner of the All Foundations Bake Off challenge. Lynn was even allowed to eat a slice of her own cake, only one as tall the others had been swiftly consumed. The whole competition was a success and All Foundations raised £100, from the sale of cake slices, for GEMS Cash For Kids which will help buy Christmas presents for some of the most disadvantaged children in the Midlands. Everyone is looking forward to the next competition, even if it means a brief respite from diets. Later this summer, All Foundations will be employing a number of young trainees for the second year running. Young people who we give full contracts to and who, from the moment they join, are valuable people in the business. While the construction industry has generally favoured the apprentice model to help address the skills shortage in the sector, our decision to go down the route of “recruit and train” has been a very deliberate move because we believe, on the piling and civils side of constructions, apprenticeships are both unsuitable and inflexible. All Foundations is a specialist piling company working in rail and construction. Laying foundations for developments requires highly specialist skills and our employees need to be trained in very specific areas. Apprenticeships, while no doubt an incredibly important part of helping young people into work, take a more broad brush approach and not suited for such a niche area. With the rail infrastructure sector booming, and All Foundations being one of very few piling companies in the UK to be accredited by the Railway Industry Supplier Qualification Scheme (RISQS), suppliers like us need to remain agile and able to meet demand, which means when employees join us they have to be able to hit the ground running and be able to positively affect the business at the earliest opportunity. Our return to a more traditional method – we employed five young people aged 18-20 on a full time basis last year – fast-tracks them to being qualified and has raised eyebrows across the country, especially as we employ of the very few, if not the only, young female piler in the UK. Our young people are trained by being out in the field and over the course of their training take part in a bespoke modular programme covering key elements required to be work in piling, including concrete pump operation, slinger signaller, piling rig operation and piling rig driving. This means that we have created real jobs for young people who really want to be part of the industry and who can chart a way forward. This in turn motives and encourages, and as a result they have flourished, gaining accreditations and plant certifications quickly and effectively. What is encouraging is that Construction Industry Training Board (CITB) has seen the value of this approach and has supported us with grant funding, and other local and Government grants makes recruiting a very strong and better-focused alternative to apprenticeships. Employing and training young people has also helped us expand the business quickly and confidently and they are proving their worth. With apprenticeships having such a high profile, it is easy for businesses to forget that recruiting young, enthusiastic people provides a viable and valuable alternative to addressing the skills shortage and growing your business. Thursday the 27th June was a momentous day for us at All Foundations. We had a glimpse of what Adam Peatty must have felt when he discovered that he had broken his world record in one day. The sense of achievement we felt was down to the fact that we had broken our own record for the total number of metres piled in one day. This included all CFA and Restricted Access piles. In fact we smashed, excuse the language, our previous record by a massive 200 metres! Large scale projects such as River Lane, Newmarket Road in Cambridge for Watkin Jones and the Etonbury Academy project for Morgan Sindall, provided us with the opportunity to break our piling record. Congratulations must therefore go to all of our piling teams who worked incredibly hard to set a new company record, often in difficult circumstances as the British summer weather has been rather unreliable this year…. So now the bar has been set even higher we will just have to continue doing what we do best, exceed our client’s expectations, and excuse the pun again, smash our new record soon. All Foundations has recently undergone a change in direction. This not a knee jerk reaction to anything topical in the news, rather it is a well-researched decision to maximise our potential by utilising our resources to fully benefit our clients. This change has resulted in a wide array of new opportunities, some expected and some, well, are a very nice surprise. All Foundations (UK) Ltd has been verified under the Railway Industry Supplier Qualification Scheme (RISQS) and can now supply the rail industry with specialist piling services. All Foundations have long focused on quality rather than quantity and have developed a reputation for being a solid and reliable contractor to work with. This reputation is well earned due to continued repeat business from the likes of Morgan Sindall and Kier, who recently awarded All Foundations with a BRAG rating of ‘Good’. According to Steve Powell, SHEQ Manager, “we are perfectly suited to deploy and complete contracts such as signal gantry replacement, signal digiboxes and railway platform extensions due to our ability to quickly deploy experienced teams of operatives, state of the art piling rigs and construction equipment on numerous rail construction sites. This recent accreditation comes on the back of being awarded a ‘Perfect Delivery Certificate’ for our piling services on the £7 million Etonbury Academy expansion project for Morgan Sindall. We will now begin working on current and future rail projects with a number of existing and new clients, so watch this space for updates on where and when we will be constructing the necessary foundations for future rail travel. On Friday the 16th of December the Office staff held a Christmas jumper day to help raise money for local Charity,Cash for Kids, which aims to provide disabled and disadvantaged children in the East Midlands with life changing experiences. We are proud to have raised £60 with our festive jumpers, a selection of which you can see in the picture. Merry Christmas from our Festive Team. All Foundations are proud to be able to publish our most recent BRAG rating from Kier. Due to our professionalism, commitment to excellence, experienced project management teams and most importantly of all the very best site operatives, All Foundations has achieved a BRAG rating of 71%, which is considered ‘Good’, with Kier since 2014. This rating has been achieved over 4 large construction sites including Kier’s prestigious Sheraton Park project in Durham where we installed 392 CFA piles as part of our Level Innovative Piled Solution (LIPS) for a new student accommodation block. Whilst we are happy to be rated as good, we are now striving to achieve the highest score possible, as we are committed to continuously improve to ensure that we remain our client's first choice for all piling and foundation work within the UK. As part of Breast Cancer Awareness month, All Foundations decided to support the charity Breast Cancer Now by taking part in the annual ‘Wear It Pink’ Day on Friday the 21st of October. Now there was some consternation from a few of our employees who were concerned that their wardrobes were a little short on pink items but our ‘Pink Ladies’, pictured above, had no such concerns. Along with wearing it pink, Karen Simpson and Kim Clarke, also organised a tombola, sweepstake and quiz to help increase participation and the amount we could raise for charity. There were also some amazing homemade cakes which were purchased by members of the All Foundation’s team and a raffle. To increase sales of the raffle tickets the Managing Directors; Shahrooz Zojaji, Michael Lloyd and Jonathan Dennis very kindly donated £250 to a prize fund and all tickets were subsequently snapped up in no time. All Foundations raised £403.73 in total. We are hoping to be able to beat this figure next year and many of the team have said they will donate a hefty sum to Breast Cancer Now, if one of the ‘Pink Ladies’ will leave their wig at home, we leave it to you to guess which one!! Due to our continued expansion as a leading piling contractor in the UK, we have now added a B175XP Casagrande piling rig to our already extensive fleet. The B175XP provides All Foundations with enhanced piling capabilities, allowing us to efficiently pile to depths of 25.5 metres and with diameters of up to 900mm through difficult ground conditions due to its torque of 160kNm. This powerful addition to our already significant fleet of piling rigs and qualified, certified personnel means that we can continue to meet the ever growing demand for our professional piling services. Today is one of those happy, yet at the same time sad days in the office as today is the day that Sue Gigg retires. Sue has been an integral part of our accounts division for over 7 years, making sure that the team works together to achieve theirs, and the company’s, goals. Sue is hoping to be able to spend more time with her family, in particular the grandchildren and generally relax. Golf will not feature largely in retirement but wine ‘tasting’ may be making an appearance or two! “Sue has been with the company for a number of years and is well loved by everyone at All Foundations and her knowledge of her role is second to none. However, she never allowed her knowledge to hinder company progress as she was always open to change. She always took on any new challenges with relish, whether this was new software system or internal procedure to enhance the accounts function and enable smoother running of the Accounts Department. Everyone here at the All Foundations office has contributed to a farewell present, farewell and not goodbye as we fully expect to see Sue’s smiling face again soon, which has been presented in the photo above. The farewell present is a beautiful watch with purple, Sue’s favourite colour, charms on so Sue can easily count down the time until she is able to visit again. Well this is not the end, it is just the start of a new chapter for both Sue and All Foundations and before the water works are fully switched on, we should all remember that we should not cry because it is over, we should smile because it happened. Farewell Sue and we hope to see you soon. You have a project which requires restricted access piling, so you post the job on an enquiry board and/or send an email out to every piling company you know. Then when you receive quotes you immediately begin looking for that magical figure, you know the one which says ‘Total cost’ or something similar. You take note of it and then compare against all the other quotes to find the lowest one. Then you have your ‘winner’; or have you? All Foundations (UK) Ltd have once again been chosen as the piling contractor of choice, this time it is to help build the latest developments at the 16.2 million regeneration project at Markham Vale. All Foundations (UK) Ltd will be responsible for providing the expertise, equipment and skills necessary to pile the foundations required for the Great Bear 480,000 sqft Distribution Warehouse. All Foundations (UK) Ltd will utilise a CFA piling rig and experienced crew to deliver the required piles for this project. For more information on All Foundations (UK) Ltd piling services click here. As part of a regeneration project in Romford, Kind & Company limited were contracted to demolish an existing care home to make way for the building of thirteen 2 and 3 bedroom affordable homes. After an intensive tendering process, Kind & Company chose All Foundations and our new Level Innovative Piled Solution (LIPS) as their preferred piling contractor and piling method. Our LIPS option would ensure that the project not only met budgetary requirements but also ensured that the homes being built would be some of the most economically and environmentally friendly available. All Foundations (UK) Limited were very pleased to receive a Subcontractor Safety Award from BAM Construction Ltd recently for our work on the Tamesis 1 project in Egham. Nathan Cholerton, seen opposite, was happy to receive the award as it shows the high level of professionalism All Foundations applies to every project and how we always strive for excellence.